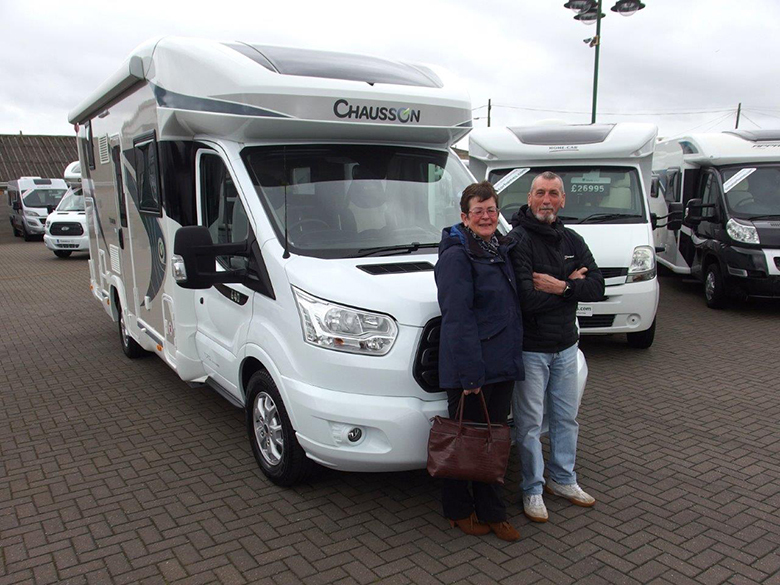 Diane and David from Gillingham Kent, are pictured collecting their New Chausson 640 TITANIUM from T C Motorhomes in Herne Bay. The Chausson replaces their Elddis Accordo, which they increasingly felt by comparison was very much smaller and cramped when compared to the `open` spacious, Chausson models. It also comes with the Ford Automatic gearbox as standard, which is something they were both keen to have on their new Chausson. Shane Catterick thanked David & Diane for their valued order and continued support, and wished them well with their new Chausson.